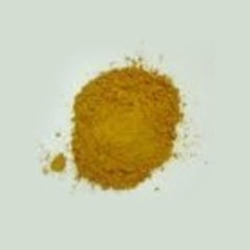 Exporter of a wide range of products which include direct yellow dyes. Finding use in areas like leather dyestuffs, paint dyestuffs, paper dyestuffs, plastic dyestuffs, Direct Yellow Dyes offered comes from the facility of Direct Dye and can be procured from us in minimum order quantity of 100 Kilogram with our supplying capability of 1000 Metric Ton/year. As hot water dyes, these are also suitable to be used on cellulose fibers like cotton where these provide for better light fastness as well as offer advantage of usage possibility in same dye bath with Acid Dyes.